Following on past tradition, the Ivory Club of Tampa Bay will host the 2016 annual Lectures Series on May 7th, 2016, featuring BBC World News TV Presenter Sophie Ikenye as guest speaker. "Media and the African Narrative: Telling the Full Story”, the theme of the evening, is a topic Ms. Ikenye is well versed in and deals with on a daily basis as Producer and Presenter of "Focus on Africa" at BBC World News TV (London, UK). 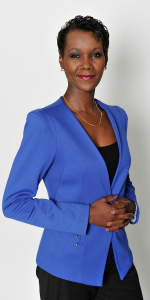 Sophie Ikenye joined the BBC in 2009 as presenter on Focus on Africa on BBC World Service radio, she later moved on to host the same show on TV with the late legendary African broadcast journalist Komla Dumor. She has covered key events in Africa including the 2011 Nigeria presidential elections as well as the crisis in Libya. She spearheaded the coverage of the 2013 Kenya elections that were keenly watched across the world. Sophie has interviewed more than ten African presidents among them Liberia, Senegal, Niger, Djibouti, Uganda, Tanzania, Mozambique and Ghana. She has also interviewed prominent personalities such as former Irish president Mary Robinson, as well as foreign ministers and opinion formers. The aim of bringing Africa to the world has also seen her interview key political players in the UK and USA such as The Secretary of State for International Development Andrew Mitchell, and former US Assistant Secretary of State for African Affairs Johnnie Carson. Away from the corridors of power, Sophie has interacted with various writers, poets, musicians, and acclaimed artists. Prior to joining the BBC, Sophie trained as a radio and TV journalist in Kenya, before she went on to work as a news presenter at the Kenya Broadcasting Corporation (KBC). Sophie has also been a radio news editor for Citizen TV and has worked as a news anchor for Kenya’s NTV. She has over 13 years of experience in the broadcast industry.